Personality: Genesis has always been very silent; rarely talking unless necessary. He comes off as more of the mysterious type, making people restless just by him passing by. He’s always calm and apathetic on the outside. Internally he keeps himself guarded; where his true emotions lie. He has a good sense of judgment and sticks to being as honorable as possible. Although his appearance can be fooling he’s rather protective and caring; however he never allows someone to tap into his inner self and wreck it. Only a certain few have been able to crack into his true being; all of which have died. Description: Through mastering the fire element and having excellent chakra control, this jutsu gives Genesis the complete control over fire. Genesis utilizes his chakra much like any other jutsu, except instead of using hand signs he can simply call forth fire with voice commands. Although hand signs are sometimes still used to give him an extra boost. With this control, Genesis is able to make fire form anywhere within a 25 meter diameter around him and cast it out farther. The flames are more powerful when he uses his limbs or breaths it from his mouth due being able to control chakra at a closer range. Description: User creates a regular bushin out of fire chakra. This clone acts much like an exploding tag; upon being destroyed the clone will have the capability to explode and releases this fire chakra. Due to it being heated, anything within a good 5 meter diameter will be given atleast first to low level second degree burns. This is much like exploding clone except it utilizes the heat of fire chakra. Description: After performing the necessary hand seals, a ninja inhales air via their mouth and, utilizing a large amount of fire chakra, spews a large fireball from their mouth, incinerating everything in range. Description: The user breathes fire along a cord or any other type of long object. Description: The user spews superheated ash from their mouth. The ash is hot enough to cause third-degree burns on the victim. Because it's composed entirely of ash, it stays in the air around the victim like a cloud. If the user clicks his teeth, the stagnant ash will ignite, creating a violent explosion. Description: User surrounds themselves in flames, much like an armor of flame. With enough focus and training, user can avoid being burnt. This flame protects the user, burning anything it touches. Heat of flame and such depends upon how many times the user has trained with this jutsu. Description: User focuses fire chakra through a weapon, normally sword, spear, etc, and stabs it into the ground. The chakra is then focused either around you or your opponent, depending if you’re trying to defend or trap/attack. A circle of fire surrounds the object from beneath before rising up. These flames then swirl around the object until flames completely surround it on all sides, normally send to defend or trap. Once jutsu is complete, the flames surrounding the object shape into a rose until released. Description: User breathes out a thick dense fog that stays low to the ground, rises about 4 feet high. This fog, unlike normal fog, is flammable and not only feels warmer but due to its denseness it makes it harder to breathe if trapped in it. One simple little flame causes this fog to be immediately set on fire, burning up anything in its path and capable of leaving 2nd and 3rd degree burns. Description: When defending, the user stands still and, using speed quickly draws his or her blade to deflect any oncoming projectiles, slash through oncoming foes, etc. Then the user quickly sheaths the blade. With the right amount of speed, the user creates an 'illusion' of never drawing the blade to begin with, that a barrier is surrounding the user. User must stand perfectly still for this to work right. When attacking, the user uses the blade with haste to make multiple deep cuts in numerous spots around the foe to cause bleed, not puncture. This technique is mainly based on creating an ‘illusion’ to psych out the foe. Description: User vibrates arm enough to make their blade appear as if it’s bending. If the user were to vibrate their arm enough; it’s hard to tell the exact location of sword. This makes it hard to dodge and deflect the sword when the user is attacking. Description: A technique that utilizes a giant Fuuma Shuriken or simple projectiles. When throwing the shuriken, the ninja will also throw a second giant shuriken to hide in the shadow of the first. The hidden secondary shuriken can then approach the target without their being aware. Description:Similar to the Clone Technique, this jutsu creates clones of the user. Unlike the Clone Technique, these clones are actual copies, not illusions. The user's chakra is evenly distributed among every clone, giving each clone an equal fraction of the user's overall power. The clones are capable of performing jutsu on their own and can even bleed, but will usually disperse after one or two solid blows. They can also disperse on their own. The clones will be created in roughly the same condition as the original. Description: A basic Taijutsu technique utilizing the Fire Element. The user will first focus chakra into their hands, and concentrates it into actual flame around their fists. The fire is used to add burning damage to the user's taijutsu strikes, as well as allowing them harm the opponent through certain kinds of armor (the weaker or flammable variety). There are also other ways to use this fire attack. This fire can also be expelled from their fists and feet when kicking or punching, sending out small fire balls. With enough fire behind the attack, the user can send out an arc or ring from their limbs. With enough blast behind this attack, the user can punch of slam their foot down to create a burst of flames in front of them (much like a small wall of flames). This is normally used for defensive, surprising an oncoming foe with sudden flames from below. Special Abilities: Sword is mixed with metal, diamond, and some other minerals to help prevent breaking. Genesis, using his fire control, runs his hand down the blade, causing it to glow with inscriptions of the ancients. This allows Genesis to use fire through the blade; opponent can tell when an attack is about to occur due to the blade turning completely red. The blade itself heats up; causing burns on contact. Hilt of blade is designed to where it doesn't burn Genesis himself. Origin: After a long and hard battle against the ancient magician Ajax, Genesis defeated him, nearly dying in the process. Ajax had told Genesis when the time came, they would fight and Ajax would give him something special to help enhance his fire ability. Ajax told Genesis of where this blade was hidden before taking his final breath, telling Genesis farewell. Genesis buried Ajax, using Ajax's own blade as a burial marker. Genesis then followed the directions he was given back to where Ajax lived and there he searched through his study room, finding a secret corridor behind one of the bookshelves. Following this, Genesis saw many different weapons; however none of them truly interested or seemed to fit Genesis. Finally, Genesis found the blade of the ancients, one Ajax had even held for Genesis to use one day. This was the day Genesis obtained the blade of the ancients that was alter dubbed, "The Genesis Blade". The boy’s mother caressed her child, humming a soft lullaby. She glanced at her husband as he watched the boy fall asleep. “We shall name him Genesis,” she smiled and wrapped him up in a white, iridescent, cloth. They finally took Genesis home for the first time. As Genesis grew from a baby to a toddler, he learned and picked up on things fast. By the age of 3, he was already beginning to be taught his basic ABC’s and even numbers. At night his mother would read him stories about adventures in far away lands; hero’s rising from the depths of the dark abyss and conquering evil. Genesis was beginning to even grow a talent of drawing art; where his imagination was limitless. At age 4, he had fully learned the alphabet and could now count to 100. However, he never stopped there, as he tried counting past that. He made his parent’s surprised on just how fast he was learning. His drawing skills were still growing, due to practice. He could now draw simple shapes and even began learning to color in the lines. At night he would even try telling his own mother a story before being drowned in his own abyss as he slept. At night he would even start dreaming of adventures, some that appeared oddly life-like. The next day he would tell his mother of these dreams. He spent more time with his mother since his father had always been away, working for the Black Ops. His mother had taught him most of what he knew; even how to walk and talk. Walking came almost natural to Genesis; however he was still learning to talk at this age. By the age of 5, he was able to talk more clearly, although he occasionally messed up. He now knew his ABC’s fully and how to count higher. His drawing skills were still improving and he started drawing more life-like things; even what he saw in his dreams. He would tell his mother about seeing shadow’s moving and ghost-like figures, making her more restless. She feared something may have truly been wrong with her son, yet his parents never told Genesis or sent him away to a doctor. Long ago in Takigakure, there lived a mysterious man with the abilities to see spirits and even perform odd magic. He went by the name of Ajax, and only the daring would see him out for they feared him. One night, using the shadows as cover, Genesis’ father took him to Ajax in hope of him being able to tell about his boy. Genesis’s father was one of the first people Ajax met in the village; so he truly didn’t fear him. As Genesis stood before Ajax, he smiled and turned to his father, “I like this man, and he’s like me.” Genesis’s father looked at them both and Ajax smiled, clasping Genesis’s hands in his. “My boy, follow me, I would like to speak with you in private” he said glanced back at his father to stay put. His father trusted Ajax, so Genesis was led away in a circular room with an oak table resting in the middle. Odd books sat on bookshelves all around, some dusty and ancient looking. Ajax led Genesis to a chair at the table before walking around to the other side. Another table sat against the wall with a few more books and a few miscellaneous items. Ajax picked up a book and walked over to Genesis, handing it to him, “can you read this?” Genesis, with curiosity, peered at the book before him. It all looked like ancient text that was unknown to Genesis, but a memory of his dreams allowed him to read it. They both departed and that night, Genesis ran though his mind everything that Ajax had spoken of. Two years passed and Genesis grew from a toddler to an actual child. He could walk; talk more clearly, draw more vivid pictures, was growing more intelligent, and even seeing more beyond this realm. Genesis was now 7 and was now capable of attending the academy. At school, he learned the ninja ways, how to be a better ninja, and more. At home, his father would teach him more of these ways and even helped him practice his skills. Genesis learned quickly, becoming number 1 in his class. He made friends with everyone in the class and even had some girls following after him; however he never paid much attention to them, telling them about how they’re wasting their time. At the age of 8, Genesis had already learned about chakra and was learning how to control and use it. He could use basic weapons such as kunai, shuriken, etc and during target practice he had an accuracy of 85% when it came to hitting the bulls-eye. He could perform basic jutsus such as clone, transformation, and substitution. He was considered a prodigy due to the speed he learned all these new abilities; and improved them. When he wasn’t at school, his father would teach him and help him practice still. At home he trained for speed, endurance, and strength; running obstacle courses his father set up that changed daily. This caused his dexterity to rise; making it hard for his father to plan new ways to challenge his son. Finally, at the age of 9, Genesis graduated the academy and received his Waterfall headband. His studies continued; his father teaching him how to properly use chakra and other tools besides the basic ninja weapons. He came to favor swords the most and began learning the art of Kenjutsu; however he never advanced in it. He trained everyday with his father and helped around the house with his moth; allowing him to grow a strong bond with both. Upon passing the academy, he was placed in a three man team. Due to the fact there were never very man Waterfall ninja to go around, his team wasn’t exactly the strongest. He was placed with a girl and boy, Airi and Kenta. This is where Genesis’s life began to change each day. Although he had friends, never once had someone actually become close to him to. They were dubbed team seventy-seven under Jonin Noburu; the man known as an assassin that takes care of any enemies who may jeopardize the safety of those in the waterfall village. Noburu demanded the upmost respect from the very beginning and the team gave it. As they trained, Noburu not only taught them how to work as a team using the basic bell exercise, but also had them try working in-sync. This way they would always have a good idea where there other teammate was and could plan accordingly. They learned of each other abilities and what they could do. Airi was known for her chakra control and control over plant life, mainly flowers. Kenta was one of the strongest, due to constantly working out, and was a novice at earth jutsu. Genesis himself was spiritually attuned, and although he didn’t have any true abilities he was the fastest amongst them and the most intelligent. They each learned about each other, becoming close and eventually close enough to almost know what each other were thinking. These two were Genesis’s best friends, or as he would say his brother and sister. After many months of intense training passed, Noburu felt it was time to send them on some missions. At first they did a few basic D-ranks; however Noburu felt they were ready for more. So they decided to tackle their first C-rank. The mission was to transport a cart full of explosives through a forest full of bandits so the cart could arrive at Konoha on time. The team gathered the day of the mission and carried it out. Genesis was used the most; his skills have increased and allowed him to sense any oncoming attackers. At first everything went fine, until they were nearly ambushed. Genesis sensed them coming and warned Airi through a series of gestures, that way the bandits wouldn’t be able to tell they had noticed. As they attacked, the plants rose and captured most, killing others, and stopped oncoming projectiles. A second swarm, believed to be the last, attacked. Airi had been busy with the first so Kenta came into the picture, using his earth techniques to defend and kill off any foes. The second swarm caused more trouble, releasing some from their plant holds, and fighting Genesis and his team. Just then, the third swarm attacked and sent a simple exploding tag towards the explosives. Kenta saw it first but was to busy, which was when Genesis came into play. A simple kunai was thrown, deflecting such an attack and once more the fighting persisted. Team seventy-seven defeated the oncoming throws, not even feeling tired afterwards as they retreated. All was well, and they carried on with their mission. The bandits themselves, with the anger of being defeated by genin, attempted to attack once more. However, this time simple arrows with fire were used. Again, the team used their abilities to deflect these arrows, casting them aside with ease. A team of bandits was sent in as distraction and were wiped out, bringing in more as the arrows continued. The team felt a bit overwhelmed by all the attacks and having to constantly defend and attack all at once. Genesis saw one arrow wasn’t deflected as time seemed to slow. He knew it would strike and blow up everyone, probably killing them all. Genesis knocked a bandit out and for a moment felt a strong grasp towards the flaming arrow as he reached out and focused. The flames suddenly came to him as the arrow simply got stuck in the cart. He stared at the flame as it danced around his hands. He didn’t feel his chakra was being used and he felt strong. He soon used this fire as he punched and struck bandits. Soon, the bandits were defeated and fire around Genesis’s hand dispersed. Airi and Kenta soon ran over to him wide-eyed with amazement as Airi asked, “how did you do that! ?” Genesis stared at them both and simply shrugged, clearly unsure how. Noburu stared at Genesis as he leaned against the cart. Genesis was talking with his team until he saw Noburu, staring right back until Noburu looked away. The soon carried on and completed the mission and were soon home again. Genesis told his parents of what had happened and his father gave a troubled face, his mother silent. “What is it?” Genesis asked, eyes going back and forth between his parent’s faces. “Never ever speak of this ability son, keep it a secret,” his father said with a serious tone. Genesis promised and from then on, never used the “ability” unless he as alone. Every night he would light a candle and try grasping the feeling of control once more. He did this every night before bed, hoping to control the fire once more. Once more, team seventy-seven was sent on more missions. The never did higher then a B-rank. Even though Noburu felt they were strong, he wasn’t planning on getting them killed. One day, during training, they received a letter from Konoha about the chunin exams. Team seventy-seven was sent out immediately to attend the exams; the test of the team’s true power without their sensei had now begun. As the team entered Konoha, there was high talk amongst the genin teams of their team and how skilled they already were. Some teams tried taunting them, the first time Genesis became more reserved and quiet. Kenta handled most of them with his ego as Airi and Genesis watched from the back, ready to help their teammate when needed. They reported to where each team was supposed to meet and waited, one of the first teams to arrive. They each studied everyone in the room, keeping mental notes of whomever they studied to share with the rest of the team later. A few hours passed and finally the Hokage arrived, an elderly man wearing the usual Hokage attire. Instantly, Genesis felt the restless and edgy room turn still as all eyes were now set on the Hokage. Genesis was leaning against the wall with his arms crossed, however him and his team now stood at attention as well. When the Hokage spoke, his voice was a bit raspy and yet Genesis could tell he had a mellow nature. He welcomed all the teams from all over and asked they each report through a doorway where they were to begin the first exam. Genesis and his team reminded each other of gestures; do to Genesis being smart they were relying on him the most. Every genin entered and took their seats to begin the exam, wondering where the Procter was. Finally, a woman who was roughly in her thirties entered and talked about the rules of the exams. Just as she stated, a line of ANBU were sitting in chairs all around the room with notepads and pencils, waiting for anyone to cheat. They were told they could only be caught three times and anytime after that they would be thrown out and disqualified. Genesis, more attuned to the people in his surroundings, felt the excitement of the ANBU and the nervousness of most of the genin, except a slight few. Immediately, the genin picked up their pencils and flipped the test over to begin. Genesis read over the first question, processing it in his before making a few gestures the team practiced. He wrote down his answers, actually having an understanding of what the test was asking. Minutes passed as Genesis worked through the problems and gestured the answers to his team, a good technique that didn’t get them caught. Soon, genin began to be led out through the door, obviously getting caught cheating and failing. However, Genesis was more concerned for his own team and himself. The clock ticked by as he read through and figured out every problem. More and more genin left, even the people on both sides of Genesis. Time still ticked by and finally, Genesis finished the exam and laid his pencil down before looking up at the Proctor. The Proctor had been watching him with an intense stare, a hidden worry behind it that made Genesis avert his eyes. He crossed his arms, sat back, and tilted his head down to rest. He sensed the area around him, feeling the different feelings people gave off and practicing more and focusing on who was feeling what emotion in the room. Many times him and his teammates would practice his skills in the waterfall village, but now he was so used to sensing the people he’s usually around him that he wants more of a challenge. The Proctor finally stood and ended the test, making some sigh with aggravation, relief, and more. Genesis looked up after resting for a good long time and clearing his mind. He glanced at his two teammates who twitched their hand, giving a thumb’s up for a moment. Genesis nodded his head slightly; feeling like their team had finished the first exam with a success. The Proctor stood forth and announced the first exam was almost done except there was one more question they had to answer which could make or break their career. Genesis and his team stayed, not even twitching to get up. However, a few others didn’t want to risk it and left, leaving roughly seven teams left for the next exam. Due to them all staying, the passed the first exam and were told to follow directions to the next exam. Genesis and his team left with excitement and smiles on their faces as they made their way to the area where the next exam was taking place. Along the way, one of the failing teams confronted their team, shoving Genesis angrily. Genesis recognized the person as one of the genin sitting right next time him who had obviously copied off of him. Airi and Kenta lunged forward to attack the team however Genesis simply threw his arm out and they stayed back; the first sign of Genesis being leader of the team. The opposing genin threw a punch that Genesis caught and pushed the man away and to the ground. The other two attacked Genesis but with a quick drop and slide of his leg, they fell to their feet as well. With that Genesis, Airi, and Kenta took their leave to the next exam; making the other team look like inexperienced fools. Genesis and his team were one of the first teams to arrive at the appointed destination, the Forest of Death. As they waited for the other teams and Proctor to arrive, they talked about the first exam and some strategies they could use in this Forest; obvious they were going to enter it. Gossip spread of Genesis and how he completed the first exam all by himself without cheating once; as well as other rumors that were spreading about their team. “Let them talk”, was all Genesis would say about any of the other teams. Finally, the Proctor arrived, as well as the rest of the teams, and each team was told to check in to receive a heaven or earth scroll. The proctor, a male with steel grey eyes and a burn mark on his arm, told the teams the rules and what to do and not to do in the forest. Beasts could be heard crying out from the forest, making majority of the genin nervous or tense. This caused Genesis to laugh to himself since his team was completely calm and ready to go. Once the Proctor finished, Genesis and his team made their way to the tent to receive their scroll. They were given the heaven scroll and decided Genesis should hold on to it since he would know what to do if something happened. Each team was then sent to their gates as they waited for the exam to start. Time seemed to tick by slowly as an eerie silence set over. Then there was a yell to begin as the gates opened. Genesis and his team flew right in and quickly began going through the forest, planning out what they would do next as they kept their eyes open on for anything. Genesis sensed any presences he could. It wasn’t long till night quickly came and there was no sight of anyone else. Genesis and his team camped for the night, traded watch positions until they felt well rested. A variety of traps also surrounded their camp in case anyone dared to intrude. As predicted, someone did on Genesis’s watch. A foolish team came in and got caught in trip wires and set off a kunai trap. The three died quickly because of lack of skill and Genesis inspected them, taking any items they may need and their heaven scroll. Airi stared, unable to comprehend what was wrong with Genesis and how he did such an attack once more. Kenta finished his foe, which turned out to have the earth scroll, and they regrouped. Instantly, they started discussing Genesis’s odd ability and dubbed it ‘a gift.’ As they moved on, Genesis then remembered the old days with Ajax and his father. After the exams, Genesis made note to return to Ajax and seek help. Genesis let out a sigh as he took out their scroll and the earth scroll, setting the extra heaven scroll to the side. They let out a sigh of relief as they all grinned at each other. Now they had a month till the next exam. After the exams were over, the team broke away from each other to train and increase their abilities, wishing each other luck in the next round before they did. Genesis returned home and told his family of all that had happened, pleasing everyone. Of course, they expected him to pass easily, almost too much that it made Genesis a bit leery. That night Genesis rested, having his normal dreams of strange realms he could never explain, where everything was much different then normal. The next day, Genesis got up and went straight to Ajax’s house in order to talk to him and see what he knew. Ajax answered and smiled, “well hey there young child, I was wondering when you would return.” Genesis entered and explained all the dreams he was having and about his unknown ability. He believed it was a bloodline, however Ajax shook his head and finally the cat was out of the bag. Ajax explained all he could about magicians and their beliefs, the past between them and the ninja, the wars that occurred, and more. Ajax also spoke of how Genesis must be ‘one of the unknown chosen ones’, an oddball that suddenly realizes he has magical powers unlike any other. At first it was hard for Genesis to soak in, however he believed every word; feeling the truth behind it all. Genesis then asked if Ajax could train him and help increase his abilities and power. Ajax agreed, however Genesis had to keep his abilities a secret for if said they could both be killed. From that point on, Ajax and Genesis would become closer then anyone. The entire month, Genesis learned skills of fighting from his father and how to enhance his control over fire from Ajax. Genesis learned fast as always and now was not only a good fighter but could even start to control fire now. Ajax told Genesis of the ancients, those who lived many years ago before ninja or anyone existed. Ajax believed them to be the birthplace of power they all had now over the elements and such. The ancients were brilliant and designed magnificent weapons and abilities; however something occurred and majority were killed. The practices continued through those who lived and eventually they branched away to teach their own beliefs about these powers. Each night, Genesis would light a candle and play with the flame and making it dance whichever way he wanted. He could feel the odd power running through him, making him happier then ever when he used it. Genesis also began drawing once more about creatures he seen, dreams he dreamt, and much more. They were becoming more vivid and he felt with more practice he would be an artist someday. Everyday, for the entire month, Genesis mainly trained and learned more and more about the ancients. Once the exams had rolled around, he felt more ready then ever. His dad gave him one of his favorite kantana as a treat for him during the exams, making Genesis feel more then ready. Ajax told him, whenever he did an ability with fire, if he could, to use hand signs and pretend first by focusing chakra throughout his body. The Third and Last Exam: Showdown. What happened to the Preliminaries? The day of the last exam had finally arrived; the day before Genesis traveled back to Konoha with his two teammates. They talked about their new abilities the entire way and for the first time, Genesis lied to his team about his ‘fire Ninjutsu’. As they passed through the streets of Konoha; cherry blossom petals floated around and gave off a sweet aroma. This was the first time Genesis paid more attention to Airi as she played with the flowers. Trying not to let any emotions over come him, Genesis let out a sigh and carried on with his way. They finally entered the arena where they lined up in wait, only two other teams from the original bunch passed to the third exam. They each eyed each other with threatening looks; all but Genesis and Airi. Time ticked by as herds of people loaded into the massive arena and finally when all grew quiet, the Hokage stepped forth and welcomed everyone, especially the remaining genin teams. “Welcome all! Today we will be holding the final exam and test these fellow genin to see if they have the requirements to become noble chunin. As you can see, only the strongest have remained and are now stronger!” For a moment Genesis felt some eyes fall upon his team, the Hokage looked at him. Due to him passing the exam and their team obtaining and extra scroll, word got out and they were gaining more attention. The Hokage took his seat as the Genin made their way to the waiting area. As they entered there were some comfy couches and tables with chairs placed around so they could wait. Genesis and his team climbed up a few easy steps to one of the tables were they sat down and talked quietly amongst themselves. Each team was spread out in the same manner; all far from each other yet close enough so they could see a flat screen that rested in a wall. They continued to talk until the screen flashed and made three beeping sounds. They all turn instantly turned their attention to it as it scrambled through a series of names. Finally the first names came up, nobody from Genesis’s team. They sighed and began talking as two other genin left the room. Time ticked by and finally Kenta was called into battle. Filled with excitement he put his fists together before leaving; his way of showing he was definitely going to win. Airi and Genesis waited in silence as Genesis tried to sense how Kenta was. Finally, it ended, and Kenta came back in with an accomplished smile, “owned him.” The opponent came through, being carried away on a stretch, and glared at Kenta before he disappeared. A twist of fate sent Genesis and Airi into shock as they were both pitted against each other. “Figures” Airi sighed as they both stood and walked out into the arena. Genesis peered around at the crowd around them and soon glanced at the Hokage. “Begin!” the Proctor yelled and instantly Airi and Genesis reacted. They could both read each other’s movements due to being on the same team. Genesis, however, had the upper hand since he controlled fire and her plants. He focused chakra throughout his body each time he prepared to attack with fire. ‘Remember, you’re a genin so act like one’ he remembered Ajax say as he used a basic fireball attack to destroy some oncoming plants. Airi lashed out, plants coming in to grab Genesis and trap him; however Genesis drew the blade he was given and chopped at the plants as they attacked. He backed up this move with more fire, destroying the oncoming plants. Airi, seeing as how plants weren’t working to well, charged in with her speed and began using a kantana of her own. The blades clashed and Genesis sent Airi back. She sprang and attacked again; Genesis side-stepping and deflecting her move as she landed and slid. They both stopped instantly and nodded, sheathing their weapons before returning to the waiting room. Once they entered the room they rested for a while before laughing and talking about their fight with Kenta; how they messed up, nearly defeated the other, and more. Airi admitted she was so close to falling that the Proctor called just in time. The first round had finally ended and some genin stayed or were sent home; some even the hospital. Genesis, Airi, Kenta, and three other genin remained for the second round. There was an intermission, giving everyone a time to rest and the crowd time to leave, grab refreshments and use the restroom, or simply talk amongst themselves. It wasn’t long till the screen began beeping and scrambling names once more. Genesis then spoke up in a more serious and calm tone, “the three of us are going to win and defeat our opponents, if we aren’t placed against each other. If the three of us move on to finals we’ll fight each other,” she smiled, “then it would be child’s play.” Kenta and Airi nodded, yet once the names were done it was Airi vs. Kenta. Genesis waved his hand, a way of saying, ‘well that plan ended.’ Kenta and Airi left as Genesis sat in silence; arms crossed and head down as he closed his eyes. He couldn’t listen to the remaining genin because even they were quiet and relaxing. When the battle ended, it was Kenta who surprisingly won, however Airi was asked to stay and watch the rest of the exams. They talked of their fight and waited. Finally, Genesis was called up to fight against a ninja with Katon. The battle dragged on as fire clashed with fire. They tried to set some sort of trap but they were always foiled. Genesis felt he met his first rival as the battle waged on. Although it took a long time, Genesis was the victor, sending the other genin away. They shook hands and congratulated each other before Genesis returned to the waiting room and the other genin went up into the stands to watch. Now all that was left was Genesis, Kenta, and one last genin from Konoha. Genesis and Kenta made a plan to eliminate the genin and then fight one on one with each other. They were given a break until finally they were sent out to fight their final battle. As planned, Kenta and Genesis easily wiped out the other genin. Doctors ran out and dragged him away as Genesis and Kenta fought on. Kenta destroyed the arena with his earth techniques and Genesis burned everything with his fire. The battle was in Kenta’s favor due to him being able to block Genesis’ fire; however Genesis was faster and more precise. As expected, Genesis won the fight, casting Kenta to the ground in one hit and holding his father’s kantana to Kenta’s neck. “That’s enough!” the Proctor, “The victor is Genesis!” Genesis helped Kenta up as everyone cheered in the background, the Proctor appearing next to them. He walked over, “both of you have showed excellent skills and strategy, you two and your teammate, Airi, are now official Chunin.” The Proctor shook their hands and the Proctor disappeared as the Hokage stood. He announced those who passed to the next level and wished everyone a good luck; even those who didn’t pass. Genesis had officially become chunin at the age of eleven. As soon as the exams were over and the three received their chunin jackets, they returned home to Takigakure. A party was held to congratulate them; almost everyone they knew showed up. That night, Genesis finally relaxed and began playing with the fire of the candle again. He lay back on his bed as the fire crawled around his hand. When someone came towards his room he flicked his hand and made the fire return to the candle as he stared up at the ceiling like he was bored. That night, he also decided to start trying to catch up on his drawings. As he did, Airi later showed up out of nowhere. Genesis let her in through the window, telling her she had better leave soon before chaos gets created. That night, Airi confessed her feelings for Genesis which hit him rather hard. It took him a while to think but finally he did a simple nod, agreeing that he felt the same. Behind it all, he did feel the same but at the same time he didn’t want this to burden them. She soon left so they wouldn’t be heard and Genesis returned to his art before going to sleep. The next day he paid a visit to Ajax once again and told him of what happened in the exams. Ajax nodded, very pleased that the secret wasn’t ruined. “Your quite skilled,” is all he muttered under his breath before moving to his study room. Genesis followed behind him, waiting for Ajax to teach him more. However, this time Genesis wanted to know more about Ajax and just who he was. Sensing this, Ajax finally told Genesis of him being an ancient wizard, or magician, with the same ability to also control fire. Genesis soon got the impression he was a lot like Ajax and Ajax simply nodded, as if knowing what Genesis was thinking. From that point on, Genesis’s training resumed and although Genesis learned to make fire on his own free will; Ajax intensified his fire training in general. He was taught how to control a small to large amount of flame, weakest to hottest, shaping it to fit through small or large openings, and more. . When they weren’t working on mastering the flames; Ajax would tell him stories of the past about the ancients, magicians, wizard, ninja, and more. Whenever Genesis wasn’t with Ajax he was out doing missions for the village. The village tried to get him to work for the academy but Genesis always turned the requests down. He wanted to rank up to Jonin as soon as possible and he felt he wasn’t really a good teacher anyway. Airi, Genesis, and Kenta continued to hang out as well and even go on missions together. At night, Genesis would still see odd dreams and one night was troubled by a certain dream. He saw Airi and him together and Airi was near death yet Genesis could never figure out where or anything about the dream for it was all a reddish blur. The people of the village wanted to test Genesis’s ability and sent him on his first S-rank; sending Airi as well in case they needed back-up. Kenta was already off working on his own missions or was teaching academy students. The mission was to bring down a member of an organization called the Akatsuki. Airi and Genesis were sent to an area near Konoha, in the deep forests that surrounded it. Due to both Genesis and Airi both having tracking skills, it wasn’t very long for them to find the lurking Akatsuki members. They waited until finally the member separated from the group; which was when they took him on. This member, known as Itachi, had what was known as the sharingan; a rare bloodline at the time. The battle was rather tricky due to Itachi’s skills compared to their own. Airi would try to trap him while Genesis covered her, occasionally attacking himself. Whenever Itachi would use a fire attack, Genesis was there to redirect it right back at Itachi. However, what troubled them the most was his sharingan and how it was able to see any movements. Genesis finally stepped in and began using his fire magic, despite Airi being there. He would use blast after blast; giving Itachi a bit of hard time since it was hard to sense. However, Itachi countered with a move they truly didn’t expect, mangekyou sharingan. Airi was the one to be placed in it, causing her to scream in agony and thus distracting Genesis. Genesis tried to help her but Itachi wouldn’t let up. Airi was used to stop any attacks and once she was finally released, she passed out. This caused Genesis to grab her and retreat; he was only chunin at the time. The mission was a failure, however everyone learned more about the Akatsuki and its goals. Airi finally healed and was back up to speed in no time. Due to this, she and Genesis were sent on more missions, becoming partners in not only fighting but they were also committed to each other. When Kenta found out he was a bit jealous and avoided them for a while, but later came around. Years passed and finally Genesis was 18. He could practically control fire to his will now and was even capable of creating his own from mid-air. Ajax had also began teaching him the Ancient’s language and how to read it. Airi herself could also fully control plants and together they were promoted to Jonin. They had accomplished many missions by now and were even planning on getting married in the near future. During those years, Genesis had also trained his body like Kenta had in the past; gaining speed and strength. His chakra control was phenomenal and already there was talk of having him join the ANBU Black Ops with his father. Genesis even began working on actual Ninjutsu, learning basic fire attacks such as Great Fireball and Phoenix Flare. His father wanted him to step it up a notch so he learned Ash Burning Product to satisfy him. His parents were fully aware of him learning fire magic and gave him permission to; although warning him to be careful. Genesis simply loved fire now; its beauty and how it had not only the power to destroy but to create new. At the age of 20, Airi 19, Genesis and Airi got married; Kenta as Genesis’s best man. The traveled to Yagakura No Sato for their honeymoon; enjoying the nice hot springs there before going to Kusagakura No Sato. Airi wanted to travel to the land of grass due to all its plant life; so they stayed there as she studied these plants with Genesis’s aid. Upon returning home, they didn’t live together just yet as Genesis continued to stay with his parents due to Ajax and his father’s training. The night before Genesis planned to move in with Airi, Genesis was woken up from a deep sleep by his mother. She had a serious face, one Genesis had never seen before. The vibe he got off of her gave him chills. She led him into their living room where his father and five other ANBU waited. Genesis stared at them, unable to believe what he just said. Soon rage overcame him, the candles in the room sparking to life as he glared at them all, “I’m not someone’s damn experiment!” He was preparing to attack but his father looked to the Black Ops, “seize him immediately.” In an instant they were on him and just as Genesis was about to break free, he was hit with a genjutsu and hit in the neck, forcing him unconscious. When Genesis was conscious, he was in a glass container filled with a bunch off odd green liquid. Tubes from the outside were hooked up to him; giving him oxygen, taking blood, and more. Black Ops and scientists were seen all over the place, some taking notes, some watching him, and others paying no attention whatsoever. Genesis tried to move around, putting his hands on the glass and pushing it to get free. Finally the liquid began to drain and they let Genesis out. He fell to his knees and couldn’t manage to stand. They had drugged him to where his brain confused his movements; instead of his legs moving his arms would or he would tilt his head to the side. Genesis just stared at the floor, coughing as he breathed in the fresh air. His body ached and it was obvious they had taken a lot of blood due to not only how weak he was but his pale skin. One of the Black Op leaders behind this experiment walked up to him, kicking him to the side. Genesis stared up at the Black Op with the blankest expression before he was taken away to another room. Inside, he was placed on an operation table, a bright light blinding him before he felt a sharp pain in his arm. Time seemed to slow down and soon he was unconscious once more. Genesis didn’t wake for roughly a week, thought to be possibly dead due to body rejecting add-ons. Genesis woke and looked around, his eyes taking forever to adjust as he looked at his hand. He was wearing red gloves and soon he realized his outfit changed completely. As he sat up he felt something tug at his back and a black feather slid to the floor beside him. This was the day Genesis first got his black wings, and became an official test subject. From that point on, Genesis wasn’t allowed to leave the Black Op lab. He was taught how to fly using his wings and how to hide them. He obtained the ability to make his wings disappear and manifest at will; helping him blend in with normal people. Genesis was promoted to Black Op level after the experimentation and ever since he was held there, learning to fight and become stronger. His speed and strength greatly increased; as well as his ability to fly. His dexterity also increased since they placed him on special courses that threw him into life or death situations. Soon, he was placed on top secret missions where he was sent to kill S-rank ninja. Using his new skills, and old, he accomplished this with ease. One battle, he was pit up against a water Ninjutsu user; but Genesis flew to high and fought to where the user used up all their chakra. This allowed Genesis to move in and deal the final blow, killing the opponent. Genesis had become a force not to mess with, forcing him to be sealed away in a chamber every time he wasn’t being used to do their dirty work. He was never allowed to contact Airi or anyone from the ‘outside world’. This pained Genesis; he wanted to escape but never truly got the chance. Genesis quickly began plotting his escape, however he wouldn’t see Airi due to the fact it may kill her. He was going to flee to Ajax and train with him more. The day he was going to escape, the Black Op held a meeting and decided to release Genesis as long as he never revealed his power or wings to anyone. Genesis swore an oath to only use his abilities when truly necessary and he was set free. Instantly, he went straight to Airi and the new home that had purchased before Genesis was captured. Airi didn’t believe it was Genesis at first; unknown to him a whole year had passed. Life resumed for Genesis as he moved in with Airi, sneaking in and taking all his stuff from his old home. He lost all contact with his family, never wishing to speak with them ever again. His experimentation remained a secret and upon returning home; he felt like a human again. He started going on missions with Airi again and finally returned to Ajax; telling him about all that had happened. This troubled Ajax and he turned away from Genesis’s family; only talking to Genesis himself due to the act they committed. Today, a disaster occurred. Black Op squad lost contact with Experiment 981, the ‘G’ Experiment. Witnesses last report a winged man flying over Konoha; coming from the west. High classed Black Op, including the experiments Father’s, were sent to retrieve the G Experiment. However, the teams were held up due to reports of Forest Fires in the surrounding area. During Investigation of the area, remnants of blood were found surrounding a spot where a battle was though to take place. After putting all the fires out, members of the Black Ops had more time to investigate. A body, later identified as a missing-nin ‘Takeshi Nori’, was discovered with some burnt black feathers in his hand, believed to be the G experiments. Area is in need of further investigation to determine act committed. No further reports of the ‘G’ Experiment have been made. Black op squad sent in to retrieve Airi and Ajax; targets remain missing. Investigation of Area labeled 87X55G- ‘G’ Fire continued and concluded ‘G’ Experiment had taken part in the battle vs. Takeshi Nori. The Black Ops were able to regenerate the battle through marks found, revealing Experiment G had broken the Oath and used his wings. Airi was reported to be on a mission in that area with G as the tag along. Takeshi Nori had ambushed, the Black Ops believe Takeshi thought of them as enemies. A fight between Takeshi and G occurred; an act had happened during battle, causing G to use his abilities. Researchers believe Airi was injured during battle, causing G to go berserk. No further reports have been made. Airi was one day assigned a mission near Konoha to retrieve an important document for Taki. Genesis decided to tag along and help her, feeling bored anyway. During the mission, Jonin Takeshi Nori ambushed them and began to fight Genesis. Genesis held his power back yet soon more ninja from Konoha came and ambushed them as well. 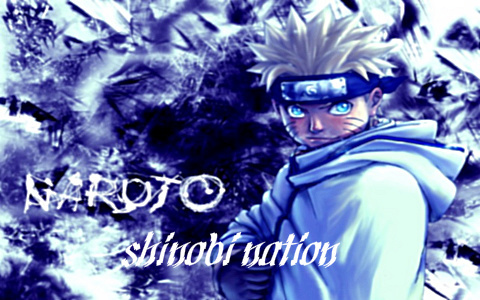 The battle was a set up to take down Genesis due to Konoha ANBU retrieving information on Genesis being an experiment. In the battle, Genesis retrieved an injury to the head, causing blood to cloud his eyes as he fought. It was at least twelve against each, Takeshi as the leader. Airi was injured during this battle, taking a deadly wound to the chest and causing her to fall. In rage, Genesis unleashed his wings and fire burst out from his body. This fire killed most of the opposing ninja and injured others; setting the surrounding forest on fire. Soon, Genesis turned to an enraged ‘monster’ striking deadly blows to Takeshi. As Genesis dealt the final strike, Takeshi grabbed Genesis’s wing and took some feathers before falling, suffering from internal bleeding, burn wounds, and cuts all around. From there, Genesis grabbed Airi’s dying body and flew into the sky to flee the area. Most that had attacked had died n the battle or later from serious burns dealt during Genesis’s flames. That night, Genesis secretly flew to Takigakure to get Ajax and they fled with Airi, taking refuge in a secret cave Ajax had nearby. Here is where he performed most of his magic and kept more books and equipment. Genesis stayed next to Airi all night as Ajax cared for her injuries. Ajax took Genesis to the said and talked of how Airi wouldn’t make it through the night due to receiving not only the injury to her chest but from burns she had received from Genesis’s blast. Genesis looked into Airi’s eyes before she smiled and gave her last dying breath, wishing Genesis to live on. The night of her death was the first night Genesis ever shed a tear. Even at birth he never cried, and now Genesis felt he was making up for it as he walked to the cave entrance and stared up at the full moon before him. Ajax stepped out and placed a hand on Genesis’s shoulder, his way of comforting him before returning to the cave and grabbing Airi’s body. That night they ventured to Konoha when everyone was asleep. They buried Airi under the very cherry blossom trees where Genesis first fell in love with her; leaving a makeshift cross as a burial marker. Upon returning to the cave, Genesis closed himself off from the world and all within it. Genesis himself felt more the misery but felt like he was a monster. He never told Airi about what he was and in not doing so, it got her killed and lying in the cold ground. Finally, Genesis shut down his emotions and went to Ajax for more training. Ajax helped him overcome his emotions and train, giving Genesis the ability to know how to shut down his outer emotions anytime, becoming a sort of shield. Ajax taught Ajax more fire spells, one of which Genesis learned earlier during the battle with Takeshi. Genesis was taught the secret language of the Ancients and how to read and write it. Ajax also helped Genesis intensify his spiritual ability to where Genesis could see more beyond this world and even enter other realms with his spiritual self. In the morning, upon doing such an act, he was usually left tired at first. However, he later grew used to doing this and his mental awareness grew immensely. By now, Genesis had never truly paid attention to Ninjutsu from that point on, relying mostly on his magic and spiritual abilities. However, Genesis would study other jutsus and records of clans so he could be prepared for battle. Genesis was consumed in his studies and improving himself, forgetting about everything on the outside world for it merely had no importance to him anymore. Although years passed, Genesis realized he never aged anymore. He never seemed to grow out of his clothes he was given, which was a plus to him. His skills of being a ninja and a magician had improved and Genesis’s ability to learn fast had finally paid off after all. Together, Ajax and Genesis finally became partners and trusted each other with anything. They finally would go out into the world again yet would hide in the shadows, blending in and making sure they were never seen. Genesis would mainly visit Airi’s grave when he went out into the world. Otherwise he was keeping an eye on Black Ops and their actions; making sure they weren’t doing anything suspicious. One day, Ajax finally came to Genesis and spoke of how he knew he would die of age soon. Genesis shook his head, disagreeing, but Ajax knew to well he would. That day he had told Genesis his true test now began and he picked up an ancient blade. Genesis was reluctant at first but soon they were both fighting to the death despite what they wanted. Genesis made a promise long ago that if Ajax were to die it would be Genesis who would take his life for him. The battle lasted for days, flames already destroying the area around them and yet it never brought any attention from other ninja or others passing by. The sword Genesis received from his father years ago was destroyed and shattered. Ajax’s sword still held strong, a sword from Ancient times. After the fifth day, both were growing more and more tired. They were equally matched at skill, making Ajax smile due to the success of his student. Finally, as the battle came to end an end, it was Ajax who was killed. Genesis had used his own sword against him, sending Ajax pinned to the ground. Genesis walked over to his old friend as Ajax smiled. He gave Genesis instructions on where to find his secret weapon storage and to destroy the reaming traces of Ajax every existing. Although hard, Genesis gave his teacher, friend, and rival, a farewell before burying him near the secret cave. Genesis went to Takigakure in the middle of the night and entered the secret room, walking past many blades before finding the blade Ajax had prepared for him from ancient times. It was dubbed the Genesis Blade, or what Genesis would sometimes call Lamierina Di Genesi. Genesis peered at the reaming books and stuff Ajax had, embedding it in his mind before setting everything on fire and destroying everything. He quickly fled to where he could watch it burn; civilians arriving and freaking out. However, by the time people arrived to put out the fire it was already to late and everything burnt to ashes. That was one of the last signs of Ajax every existing in the village and when people saw the fire; rumors erupted about Ajax and Genesis. It wasn’t long till ANBU began coming after Genesis again upon believing he was in the nearby cave. They arrived and challenged Genesis; however Genesis easily defeated them and killed them. Enraged, his father came himself but Genesis merely tossed him aside, leaving him with a painful burn on his back as a memory of what he did to his son. Genesis soon took whatever he could and burned the rest; fleeing the area. From that point on, Genesis was never truly seen again and was believed to be dead. However there have been numerous sightings of a strange winged bird that's to big to be an actual bird. No one is positive if it's him or not and what his intentions may be. Genesis crossed his arms and listened to what Kyouken spoke of first. In the past Genesis would listen to his teacher's prophecies and read books of the Ancients, all telling of how such a battle would take place and why Genesis chose to follow the Order. Part of him wanted to see if this was actually true, if such a war would take place. Once Genesis became a disciple and closer to Father, he could feel the tension amongst the Order and heard of what everyone thought. They wanted 'a new world' and they wanted blood, yet Genesis could tell all Father wanted was to be the leader of this 'new world'. He wanted all the power, yet Genesis felt that no matter what if Father obtained such a power many innocent people would die. When the pirates' voices went silent Genesis slightly turned his head back at the sudden stillness, looking through pieces of his red hair as he saw they had frozen. The world itself was still moving and yet the pirates froze. Genesis turned his attention back to Kyouken, knowing it must have been him to cast such a technique. As Kyouken closed the golden watch in his hand and spoke of his technique, Genesis smiled a bit to himself. His past teacher used to carry around a golden watch as well, periodically checking it when they were traveling. Kyouken then began to speak as Genesis moved one of his crossed arms up and firmly placed a hand under his chin to observe, listen, and think. He watched Kyouken's every movement, his tone, his words, everything. He was trying to grasp just how Kyouken thought, what sort of person he was and if Genesis should truly put his faith and trust into this stranger, this enemy of the Order. Once Kyouken had finished his explanation and spoke to each of them individually there was a moment of silent. Genesis began to truly think, listening to the sound of the calm waves as his wings twitched slightly. One of his many black feathers fell off and floated in the wind towards Osamu. Kyouken's apprentice ended the abrupt silence with a speech of his own. He seemed to talk mostly to Genesis, however he also talked to Osamu before his eyes rested on Genesis once more. Genesis's eyes were still closed as he stood in this thoughtful pose, allowing a calm silence to set over the four of them once more. Genesis then dropped his pose and took a step forward, leaping down from where he stood and landing on deck with a sort of powerful grace. His wings folded back in as he looked up at Kyouken, making eye contact with his blue depths once more. Genesis had made his decision, but now it was his turn to speak. "It is true that I am a mere pawn, or knight as you say. I also understand that I truly don't know of his true power," Genesis turned and faced the sea. "From my perspective he would make a great leader, however the darkness in his heart and soul has caused him greed and will ultimately destroy him from the inside out... if it hasn't already. He's found a strong race of people, and just to show how strong he is, will try to destroy them. This will most likely cause people to flee and join him in fear and allow him to gain numbers.The miserable have no other medicine but only hope, and they may think that hope is in Father." Genesis turned back to Kyouken as he dropped his crossed arms, "however, you most likely already know and understand this so truthfully there isn't much I can truly say that you don't understand already. You may be a stranger, but I am not an ignorant and blind man...Noctis or Kyouken.....you have my respect." With those words Genesis made it known what side he had chosen, what path he decided to take. He turned away from Kyouken once more before letting out a sigh and reaching his hand back to his blade. His hand grasped the hilt of his blade before unsheathing it and griping it firmly in his hand. "You do realize I can't return without your head..." Genesis said before turning to Kyouken and staring dead into his eyes, his shields vanishing. Genesis held eye contact for a moment before running his hand down the Genesis blade. It glowed with red ancient insrctiptions, the sign that this blade was crafted long ago. Genesis lunged towards Kyouken with a force, his blade at the ready to strike.